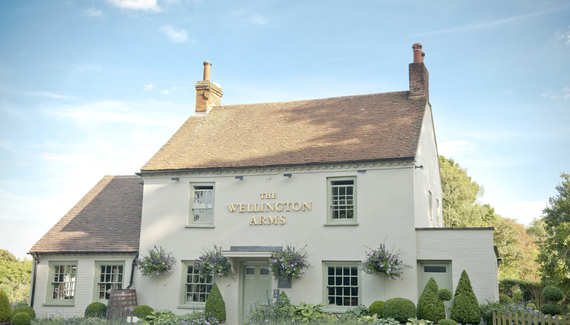 Lost down a web of lanes, the 'Welly' draws foodies from miles around. Cosy, relaxed and decorated in style – old dining tables, crystal decanters, terracotta floor – the newly extended bar-dining room fills quickly, so make sure you book to sample Jason's inventive modern cooking. Boards are chalked up daily and the produce mainly home-grown or organic. 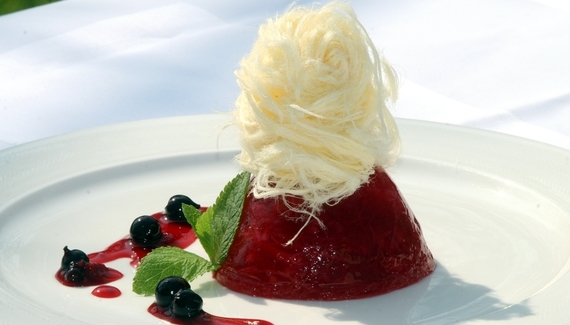 Kick off with home-grown courgette flowers stuffed with ricotta, parmesan and lemon zest, follow with rack of home-reared lamb with root vegetable mash and crab apple jelly, finish with elderflower jelly, strawberry and raspberry sorbet. 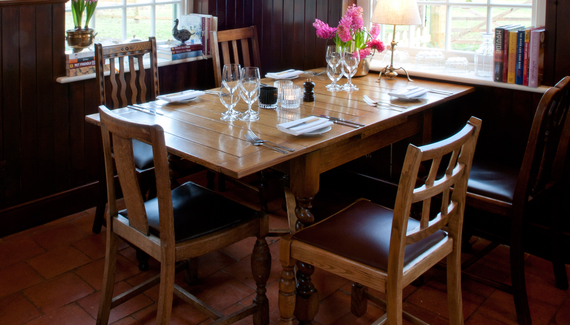 Migrate to the huge garden for summer meals and views of the pub's small holding: seven little pigs, nine woolly sheep, a few bees and almost 100 assorted hens; buy the eggs at the bar. Silchester Roman Wall. Maintained by English Heritage, this is a wonderful place to walk around the perimeter of the Roman town, following the ancient walls. Do look our for the amphitheatre - it is quite amazing. The Vyne, National Trust. An intimate family home with beautiful gardens and ancient woodlands to explore. Highclere Castle, home of Earl and Countess of Carnarvon, most recently the setting of Downton Abbey is 20 minutes away. Tickets must be bought is advance as it is a very popular destination. Sandham Memorial Chapel, National Trust. A modest red brick building housing an epic series of large scale murals, by the acclaimed war artist Sir Stanley Spencer. Bombay Sapphire. Take a tour of the distillery near Overton, learn about gin botanicals, or maybe book a mixology masterclass. Whitchurch Silk Mill is the oldest silk mill in the UK still in its original building. A gem of industrial heritage, the Georgian water mill still weaves silk using 19th century machinery. 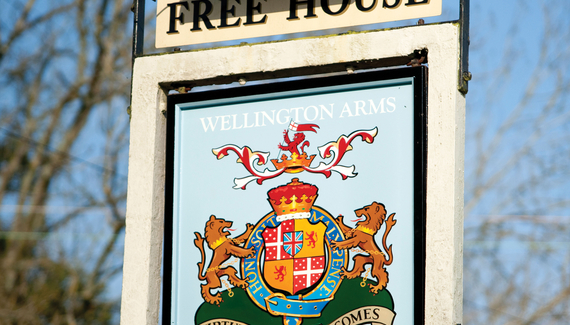 Have you visited The Wellington Arms? Mondays to Saturdays from 3pm to 6pm. Sundays from 5pm to 12am. Open fields and woodland walks; public footpath from the pub. Lily's Kitchen Bedtime Biscuits, bones, sheepskin rug, water bowl, towels for drying, maps and advice on walks.